It happens every year. My little girl is another year older, and it just doesn’t seem possible. Which means that it was also time to throw another birthday party! Ever since the beginning of Summer, T has wanted to be involved in helping out with everything from cooking to folding laundry. So, of course, I got her more involved in the party planning this year. 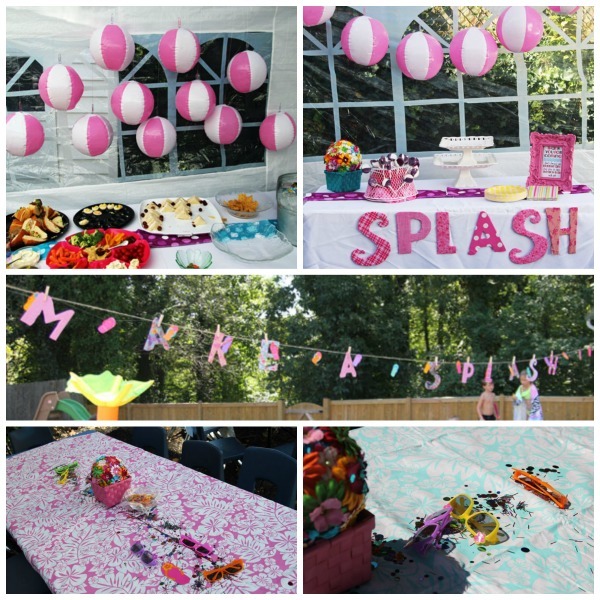 Her choice: a pink and purple Splish Splash party! Of course every party starts with the Inspiration…and I gathered quite the collection of inspirational links over on Pinterest. Time, budget and logistics prevented us from being able to actually do all the fun things I found, but that doesn’t mean I didn’t enjoy dreaming about it all! With a few weeks to go, it was time to choose the birthday invitations. I showed you all the different choices we were looking at and asked which one you thought T would choose. 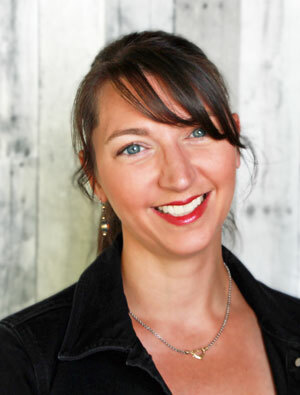 Congratulations, Lisa (Dose of Reality)…you were the only one who got it right! T chose the invitation above from Pamper Your Party and the party was set. We expected about 17 kids and their parents to show up, so we rented a couple sets of kids tables and chairs. They were set with colorful tablecloths that I already had on hand, flower pomanders from T’s first birthday and runners of confetti and inexpensive sunglasses. Pink and white beach balls served double duty as both decoration and party favors. I also spent a good bit of time making fabric covered letters which spelled out “Splish” and “Splash” on the front of the display tables. The letters were also used to greet all the guests with a “Make a Splash” banner across the back yard. Of course this kind of party is worthless without lots of fun activities! 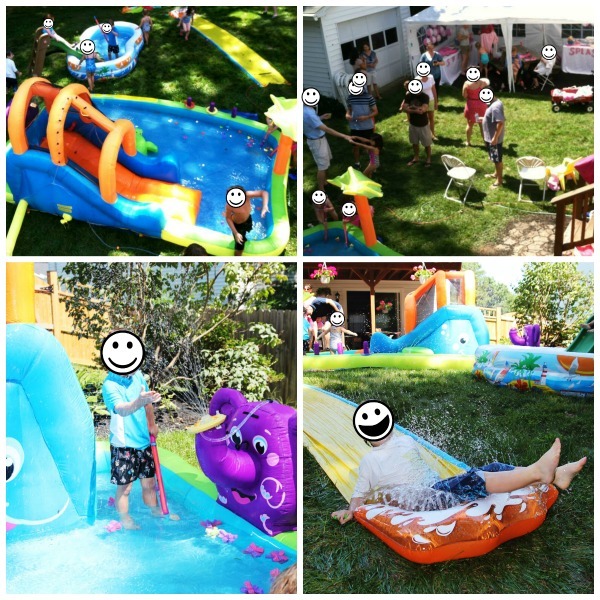 We had five activity stations placed around our yard including a large inflatable pool with a slide and sprayers, a smaller pool with a makeshift slide, the slip-n-slide, a large bucket filled with pink and purple sponge bombs and water sprayers, and a “baby beach” (not pictured) made from a snapset pool, a couple hundred pounds of play sand and some inexpensive sand toys. Of course one of the highlights of a birthday party is the cake! T asked for a strawberry and vanilla cake, so I took the opportunity to make a Pinata cake with one layer of each type of cake, filled with mini M&Ms and decorated to look like a beach ball. It was such a hit that we didn’t even get a chance to take a picture of it after it was cut until the entire thing was doled out to the kids. All-in-all it was a crazy, but fun day. The kids and birthday girl all had a blast…and the baby took a nearly three hour nap afterward…I think that’s a sure sign of success! Like what you see? 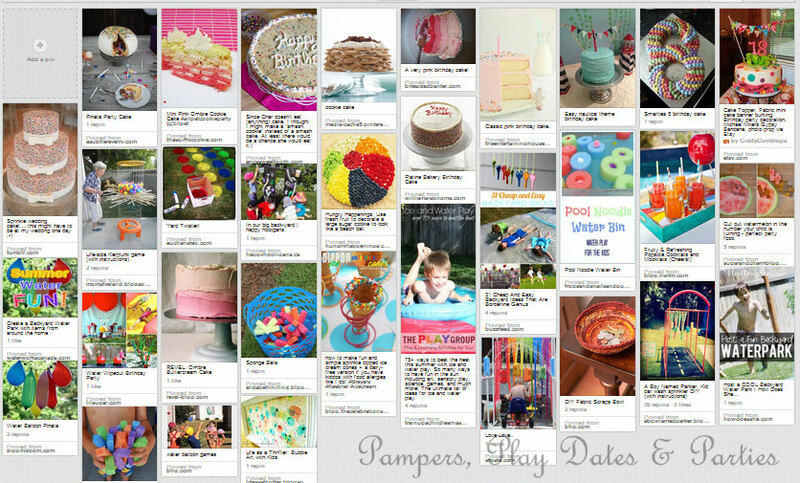 Take a look at my other Parties, and don’t forget to subscribe via Bloglovin’, Facebook, or Twitter!